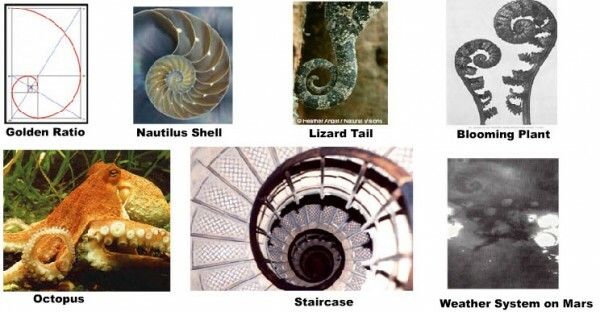 The shape of the Nautilus shell is often referred to as the Golden Arch or Golden Ratio (137.5°). It is based on a simple mathematical formula and is a derivative of Phi (x²-x-1=0). The shape of a lizard's tail, the hip to waist ratio of human beings, the shape of tornados and the shape of representations of Buddha all contain this ratio. The ubiquity of this geometric shape suggests that all things in the universe are connected by a set of underlying rules which dictate how all things work.